Lee Baxter Promotions has a good boxing card on tap for Saturday, September 29th at The Cornwall Civic Centre in Cornwall, Canada. 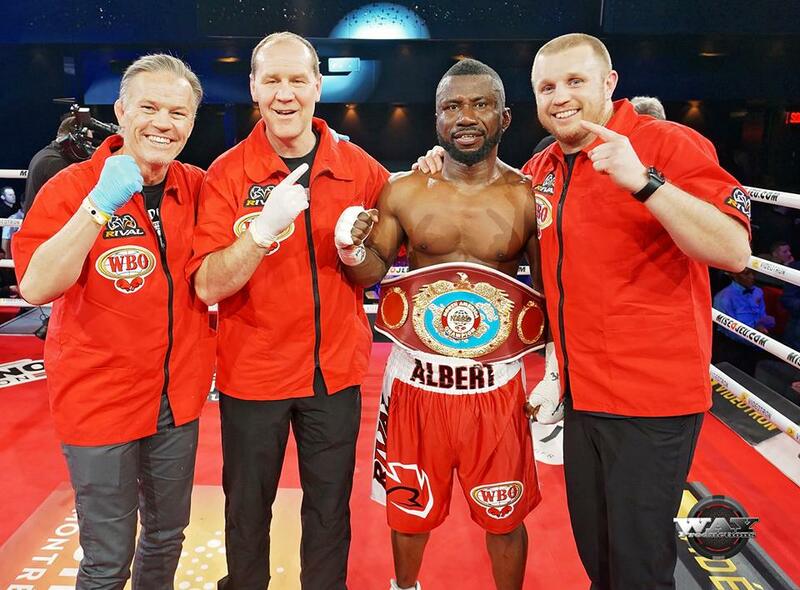 In the main event, the WBO-NABO championship is on the line when current champion Albert Onolunose (23-1-1, 7 KOs) takes on current WBA-NABA Canadian champion Patrice Volny (11-0, 8 KOs) in a 10 round title fight with massive implications in Canada’s middleweight picture. The Calgary-based, Nigerian-born. Onolunose, who won the title in his last light against Francis Lafreniere, is taking on one of Montreal’s hottest young fighters in Volny who is coming off a brutal TKO victory and title defense over Calgary’s rugged Janks Trotter this past May. The stakes are high as the WBO has mandated that the winner of Onolunose vs. Volny must lace fearsome Quebec knockout artist Steven Butler (24-1-1, 21 KOs) within 120 days of the fight, as well as land the winner a spot high in the WBO’s world rankings. The event will also feature a stacked undercard of Canadian fighters including two-time world title challenger Dierry Jean (29-2-1, 20 KOs), lightweight prospect Alex Dilmaghani (17-1, 6 KOs) and a host of young undefeated fighters like Mazium Akdeniz (5—0, 2 K0s), Devin Tomko (4-0, 2 K0s), Roger Robidoux (4-0, 2 K0s) and more. “Canada is on the verge of producing another middleweight world champion and the winner of this showdown between two titleholders will make them the front-runner. We expect ﬁreworks in the ring as both fighters know what’s on the line,” explains Lee Baxter, President of Lee Baxter Promotions.